Major-General Sir Robert Edward Laycock KCMG CB DSO KStJ (18 April 1907 – 10 March 1968) was a senior British Army officer, most significant for his service with the British Commandos during the Second World War. Major general, is a "two-star" rank in the British Army and Royal Marines. The rank was also briefly used by the Royal Air Force for a year and a half, from its creation to August 1919. In the British Army, a major general is the customary rank for the appointment of division commander. In the Royal Marines, the rank of major general is held by the Commandant General. The Royal Regiment of Artillery, commonly referred to as the Royal Artillery (RA) and colloquially known as "The Gunners", is the artillery arm of the British Army. The Royal Regiment of Artillery comprises thirteen Regular Army regiments, King's Troop Royal Horse Artillery and five Army Reserve regiments. Lockers Park School is a day and boarding preparatory school for boys and co-educational pre-preparatory school, situated in 23 acres of countryside in Hemel Hempstead, Hertfordshire. Its current headmaster is Christopher Wilson. Eton College is a 13–18 independent boarding school and sixth form for boys in the parish of Eton, near Windsor in Berkshire, England. It was founded in 1440 by King Henry VI as The King's College of Our Lady of Eton besides Wyndsor, as a sister institution to King's College, Cambridge, making it the 18th-oldest Headmasters' and Headmistresses' Conference school. Lieutenant colonel, is a rank in the British Army and Royal Marines which is also used in many Commonwealth countries. The rank is superior to major, and subordinate to colonel. The comparable Royal Navy rank is commander, and the comparable rank in the Royal Air Force and many Commonwealth air forces is Wing Commander. Laycock inspecting Marine Commandos shortly before the 1944 Normandy landings. The position of Secretary of State for War, commonly called War Secretary, was a British cabinet-level position, first held by Henry Dundas. In 1801 the post became that of Secretary of State for War and the Colonies. The position was re-instated in 1854. Malta, officially known as the Republic of Malta, is a Southern European island country consisting of an archipelago in the Mediterranean Sea. It lies 80 km (50 mi) south of Italy, 284 km (176 mi) east of Tunisia, and 333 km (207 mi) north of Libya. With a population of about 475,000 over an area of 316 km2 (122 sq mi), Malta is the world's tenth smallest and fifth most densely-populated country. 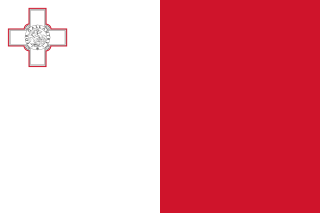 Its capital is Valletta, which is the smallest national capital in the European Union by area at 0.8 km.2 The official languages are Maltese and English, with Maltese officially recognised as the national language and the only Semitic language in the European Union. Domenico Mintoff was a Maltese politician, architect, anti-colonialist revolutionary, and civil engineer who was leader of the Labour Party from 1949 to 1984, and was 8th Prime Minister of Malta from 1955 to 1958, when Malta was still a British colony, and again, following independence, from 1971 to 1984. His tenure as Prime Minister saw the creation of a comprehensive welfare state, nationalisation of large corporations, a substantial increase in the general standard of living and the establishment of the Maltese republic, but was later on marred by a stagnant economy and outbreaks of political violence. Laycock suffered from severe circulatory problems, which meant constant pain in one leg. He was appointed Lord Lieutenant of Nottinghamshire in 1962. This is a list of people who have served as Lord Lieutenant of Nottinghamshire. Since 1694, all Lords Lieutenant have also been Custos Rotulorum of Nottinghamshire. A noted horseman, yachtsman and historical book collector, his interests made him a man who could enjoy life. It was said by many [ by whom? ] he had no enemies. While walking back from Sunday church services on 10 March 1968, Laycock suffered a massive heart attack and died. Joseph William Peter Laycock (1938 – bef. 16 December 1980), accidentally drowned with his eight-year-old daughter Flora in a boating accident on the River Thames, and was survived by two children. He married 1971 Eve Lucinda Fleming (born 15 May 1947), better known as the actress Lucy Fleming, younger daughter of Peter Fleming, otherwise Lt. Col. (Robert) Peter Fleming, OBE (1907–1971) by his wife Dame Celia Johnson, actress (1908–1982). Lucy Fleming is a niece of Ian Fleming, creator of "James Bond", and has remarried. Benjamin Richard Laycock (born 1947); married 1971, and has issue 1 son and 2 daughters. Edwina Ottilie Jane Laycock (born 1936) has been twice married, and has issue by both marriages. Katherine Martha Laycock (born 1949); married 1969 David Mlinaric (born 1939), interior designer and decorator,  has three children. Duke of Buckingham, referring to Buckingham, is a title that has been created several times in the peerages of England, Great Britain, and the United Kingdom. There have also been Earls of Buckingham and Marquesses of Buckingham. The order of precedence in Scotland was fixed by Royal Warrant in 1905. Amendments were made by further Warrants in 1952, 1958, 1999 to coincide with the establishment of the Scottish Parliament and Scottish Government and most recently in 2012. Viscount Cobham is a title in the Peerage of Great Britain that was created in 1718. Owing to its special remainder, the title has passed through several families. Since 1889, it has been held by members of the Lyttelton family. Thomas de Beauchamp, 11th Earl of Warwick, KG was an English nobleman and military commander during the Hundred Years' War. In 1348 he became one of the founders and the third Knight of the Order of the Garter. John Leveson-Gower, 1st Earl Gower, known as The Baron Gower from 1709 to 1746, was a British Tory politician from the Leveson-Gower family, one of the first Tories to enter government after the Hanoverian Succession. Frances Evelyn "Daisy" Greville, Countess of Warwick was a campaigning socialist who supported many schemes to aid the less well off in education, housing, employment and pay. She established colleges for the education of women in agriculture and market gardening, first in Reading then in Studley. She established a needlework school and employment scheme in Essex as well as using her ancestral homes to host events and schemes for the benefit of her tenants and workers. She was a long-term confidant or mistress to the Prince of Wales, who later became King Edward VII. Colonel Sir Charles Seely, 1st Baronet KGStJ was a British industrialist and politician. Winifred May, Marquesa de Casa Maury, universally known by her first married name as Freda Dudley Ward, was an English socialite best known for being a married paramour of the Prince of Wales, who later became King Edward VIII. John Harington, 1st Baron Harington of Exton in Rutland, was an English courtier and politician. There have been four baronetcies created for persons with the surname Temple, two in the Baronetage of England, one in the Baronetage of Nova Scotia and one in the Baronetage of the United Kingdom. Francis Richard Charles Guy Greville, 5th Earl of Warwick, styled Lord Brooke until 1893, was a British Conservative politician. Brigadier-General Sir Joseph Frederick Laycock, sometimes known as Joe Laycock, was a British Army officer and Olympic sailor. Sir Edward Unton KB was an English politician, high sheriff and Knight of the Bath. Thomas Gleadowe-Newcomen, 2nd Viscount Newcomen, known as The Honourable Sir Thomas Gleadowe-Newcomen, Bt, between 1807 and 1817, was an Irish politician. Sir Richard Temple, 3rd Baronet was an English politician who sat in the House of Commons at various times between 1654 and 1697. The Villiers family is one of England's preeminent aristocratic families. Over time, various members of the Villiers family were made knights, baronets and peers. Peerages held by the Villiers family include the dukedoms of Buckingham (1623-1687) and Cleveland (1670-1709), as well as the earldoms of Anglesey (1623-1661), Jersey and Clarendon. Perhaps the most prominent members of the family were those who received the two dukedoms: George Villiers, 1st Duke of Buckingham (1592–1628) rose to fame and influence as favourite of King James I of England, while Barbara Villiers, Duchess of Cleveland (1640–1709) became a mistress of King Charles II of England, by whom she had five children. Arthur Wills John Wellington Trumbull Blundell Hill, 6th Marquess of Downshire was an Irish peer, styled Earl of Hillsborough until 31 March 1874. He lived chiefly at the family seat, Easthampstead Park, within 5,000 acres in Berkshire. The marquess also owned 115,000 acres in Hillsborough, County Down. Elizabeth Greville, Countess of Warwick, formerly Elizabeth Hamilton, was the wife of Francis Greville, 1st Earl of Warwick, who was restored to the earldom of Warwick by King George III of the United Kingdom in 1760. ↑ Anonymous. obituary for her cousin Bindy Lambton, or the former Countess of Durham, published in the Daily Telegraph on 18 February 2003. ↑ Michael Rhodes, with supplements by Brooke. " Sir Richard Antony Purbeck Temple, 4th Baronet, MC (1913–2007)". "Peerage_News" group on Google, 8 December 2007. The baronetcy was created 1876 for Sir Richard Temple, 1st Baronet, a British India colonial administrator. Leo Van Der Pas. Robert Laycock's Descendants, for an incomplete version of Laycock's descendants. Last accessed 18 January 2008.